SPEC INDIA/Blog/Designing a Cult ! Trending User Experiences on Apps ! Designing a Cult ! Trending User Experiences on Apps ! With changes in technology come the rising expectations from it. Technology in the last decade integrates with lifestyles like never before, making itself an indispensable affair. Latest devices on the block are the Virtual Reality enabled ones and the wearables with fitness bands & the smart watches becoming mainstream. All connected, all mobile. App UX Design Services becomes a cult and how! Mobility, an inherent part of human lives has interesting offerings with around close to two million apps existing globally. It has been more than a couple of years now that the number of mobile users exceeded desktop users, today, there is literally an app for every human requirement. As a growing number of people prefer to use an app rather than a website, it is needless to say that the design of apps need to engage the user like never before. And they say today a person is either asleep or connected, making the quest to engage the user quite a big challenge! Studies have an alarming indication to make. About 20 percent of mobile apps are only used once after download, the major deterrents being a placid interface & a lack of seamlessness across devices. An engaging user onboarding gives a relevant flavor of the app and an onboarding exercise failing to engage becomes a major reason for user abandonment too. User Onboarding gives a flavor of the app design to the first-time user. A simple walk-through of the app designed with an unmissable appeal goes a long way in establishing confidence of the user for the app. If a user does not find an app aesthetically engaging with a relevant visual appeal, inspite of the download, the usage of the app would be less. Proper usage of design patterns along with themes suited to the purpose of the application are essential to keep up the appeal. While visual factors cannot be a replacement for feature design or business requirements fulfillment, it is definitely a vital aspect when it comes to user engagement making the app complete. For activity related apps, it would be a good idea to introduce progress bars or other visual elements that showcase some sort of completion or status of goals achieved. Users often like the idea of finishing something and this addition to the design keeps the user motivated, increasing the engagement quotient. Responsive user interfaces or experiences used to be all about catering to mobile devices of various sizes. It is time to go beyond responsiveness ensuring that the mobile app functions in a flawless fashion irrespective the device genre itself; be it a desktop, laptop, tablet, smartphone or even a wearable device! App designs should incorporate platform & device independent features to ensure users continue with seamless customer experiences even irrespective of their choice. Apps can suitably be designed to interlink with each other helping to create a comprehensive group for establishing a brand. Modern app design theories often center around gamification introducing game like features in a real-life app. The context here is to incorporate features like score-cards & achievements similar to what a user would experience in an interactive game. With gamification, users are compelled to do more with the app & keep scoring, a sure shot way of promoting app usage. 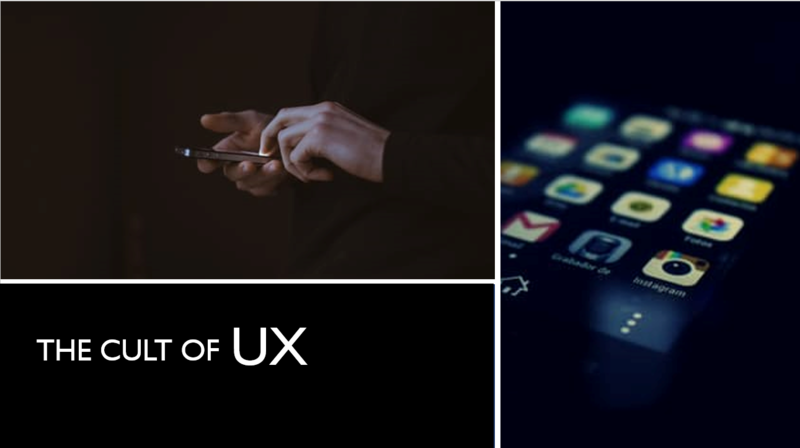 Enterprises focusing on App UX Design Services have found that gamification, contradictory to its impression of being a distraction, actually leads to increased app usage and user involvement. Giving out badges or indicating a superior level based on points accumulated is another design feature that gamification brings to the app. Mobile apps go beyond display & tapping nowadays by including various methods of interactions involving a more number of human senses by being enabled cognitively. Apps should be able to interact with the user by tracking movements, speech or other sensory patterns. Voice recognition, judging preferences and trend analytics are common features that mobile app designers generally take advantage of to make the app more engaging for the users. To ensure audience interest is retained with app usage, it is vital to understand the audience context & expectations from the app. Demographic factors such as age, gender, region of usage & preferences of the audience are of prime importance. Mobile app design cannot be engaging unless the user feels connected to it and the app is useful enough to serve the purpose. The functionality a particular app delivers is closely related to how the design integrates with technology to meet the requirements. Mobile apps become the way to do things in the IoT ecosystems. On the other-hand, Analytics become an integral part of every app designed to accurately gauge customer perception, engagement level & preferences and is an established trend today. The app market place sees a lot more design concepts incorporating newer cutting-edge technologies. A lot of enterprises are investing in chatbot solutions or application interactions. Such tools are prevalent nowadays on the web and the mobile app segment is surely on the way to adapt this latest entrant on the block. Conversational apps designed with bots excel in Natural Language Processing abilities and converse with humans to act faster than the user to make all activities faster and more efficient. Artificial Intelligence powered apps drive the concept of cognitive design, becoming indispensable for app design by offering a UI that understands the user and is continuously comprehending & realigning to the user expectations offering a personalized touch would take user engagement to the next level, a true design for the millennials. Mobile app design gets a whole new meaning today with user experiences becoming larger than life. App Design Services then get a complete makeover and the approach to keeping the users enticed changes completely, maintaining core concepts. Steve Jobs one of the pioneers in fusing technology & design tightly with each other to offer purposeful technology and eventually cajoling the world to believe in his thoughts!